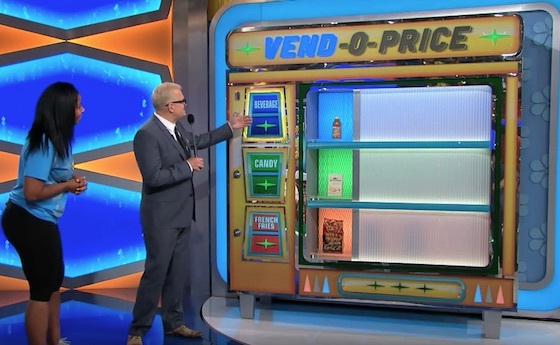 Game Description In this game played for a prize package, the contestant is shown a vending machine with 3 grocery items on 3 shelves. The contestant is told that the top item is the least expensive, and the bottom item is the most expensive. After the items are described, a shutter is slid open to reveal that there are in fact multiple quantities of each item on their respective shelves. The contestant must then select which shelf is the most expensive. If they do, they win the prize package.